It could certainly be argued that educational bodies tend look to test results and attendance records not because these are the most important achievements of a school, but because they are the easiest to measure. 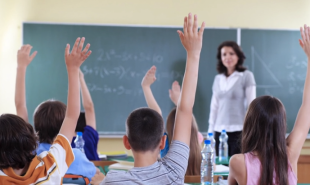 However, a new dashboard tool from Boston startup Panorama Education could enable schools to measure the unmeasurable — the data analytics company helps educational institutions to conduct regular, affordable surveys measuring the more abstract qualities of a student’s classroom experience. It asks questions such as ‘Do you feel safe at school?’ and ‘Do you think anyone would notice if you were not there?’. Panorama Education is focused on improving K-12 education by helping schools to understand the underlying reasons for their problems. They collect feedback from teachers, students and parents via their carefully designed surveys and convert the response data into comprehensive reports. The company, founded by three Yale graduates, is already serving 6,500 schools across America. Their new dashboard, which has been tested at 300 schools, will help to streamline the process, enabling principles to access changing metrics online anytime they need to. Panorama Education offers schools an affordable and transparent alternative to expensive consulting companies. Could this platform be used elsewhere around the world?